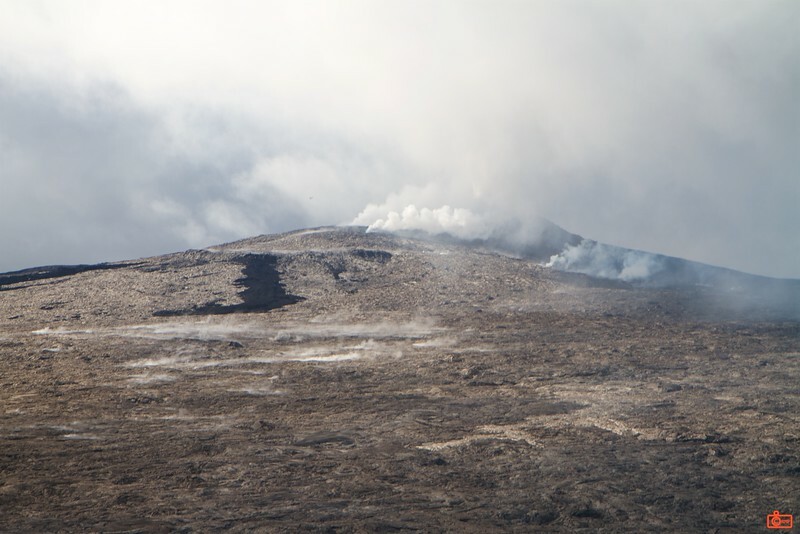 The one of the active cones of the Kīlauea volcano. The entire landscape here is only solidified lava and not a single living thing. This is apparently the Pu'u 'O'o crater.